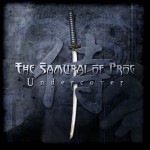 Review: "Samurai of Prog, The: Undercover" - Sea of Tranquility - The Web Destination for Progressive Music! Undercover doesn't exactly re-invent the wheel, but if you're looking for an absolutely top-notch album of progressive rock cover tunes it's hard to go wrong with this one. The Samurai of Prog have proven that they are an extremely talented ensemble with this debut effort, and I'll be keeping a close eye on them in the coming years. It's rare to come across albums with this level of finesse contained within the musicianship and arrangements, and the choice of cover tunes should easily turn the heads of prog fans worldwide. 3.5 stars seem fair for this impressive effort. Undercover may not be an entirely independent artistic statement, but it's a damn good one nonetheless!